Closeup photos of the 6th century B.C. 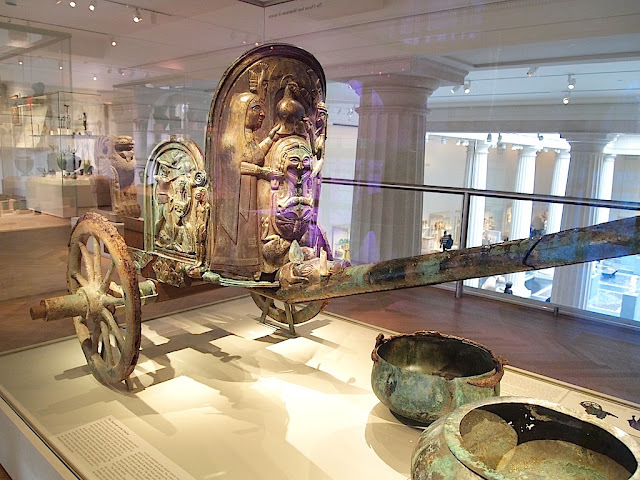 Etruscan chariot. 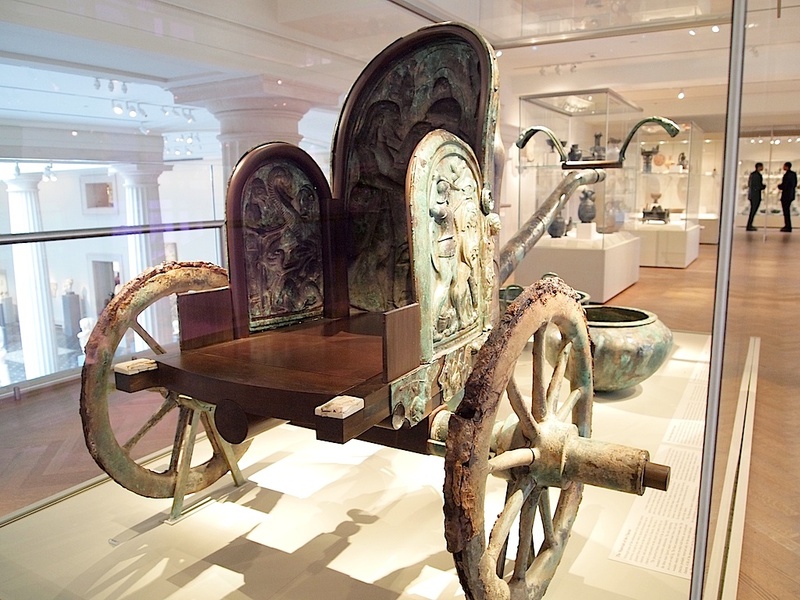 The bronze carriage was found in Moteleone di Spoleto in 1902.